The MODBUS to GPRS Converter uses 2G/3G/4G/LTE technology to send the data to the cloud.The adapter require mains supply and battery backup will be provided. The converter collects the data from MODBUS(RTU) slave device and sends to the cloud through GPRS. 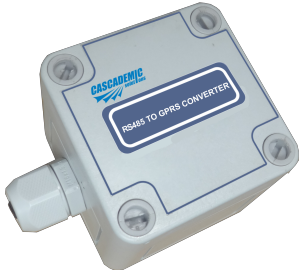 The MODBUS to GPRS Converter is used in Smart remote metering, Water Monitoring and Measurement, Gas Metering and Energy Metering and many other Industrial applications.